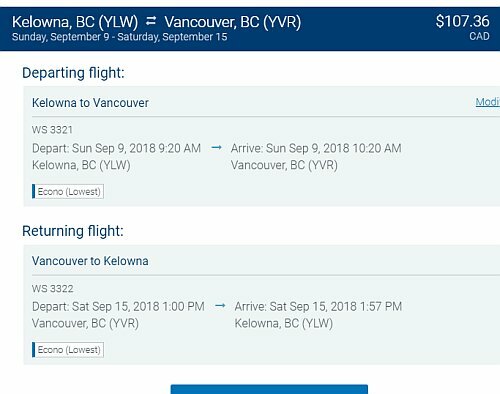 Flair Air has dropped the price of their August flights from Kelowna to Vancouver, BC down to between $78 and $138 CAD roundtrip including taxes. $138 roundtrip is the price with carry-on luggage included (for a fair comparison against WestJet and Air Canada). WestJet is also showing flights in September for $108 CAD roundtrip (with carry-on included). Vice-versa flights (Vancouver to Kelowna) are also available for the same price. 3. Scroll through the dates and look for the dates that are $29 on the way there, and $49 on the way back. - Look for the dates that are $108 roundtrip. 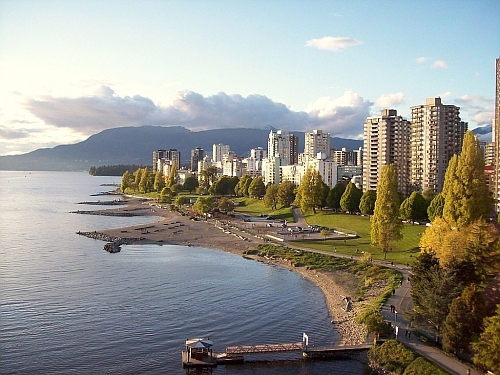 Update 7/25 - Flights from Kelowna to Vancouver are available today for $68 roundtrip with Flair Air, by using a '30% off the base fare' promo code. - Scroll through the dates and look for the dates that are $49 on the way there, and $19 on the way back. - The promo code applies to dates between now and October 27, 2018.
kelowna, YLW, westjet, flight deals, vancouver, british columbia, yvr, canada, north america, bc or flair air.